Samples of Technirama: The original 8 perforation neg and a selection of different format prints. 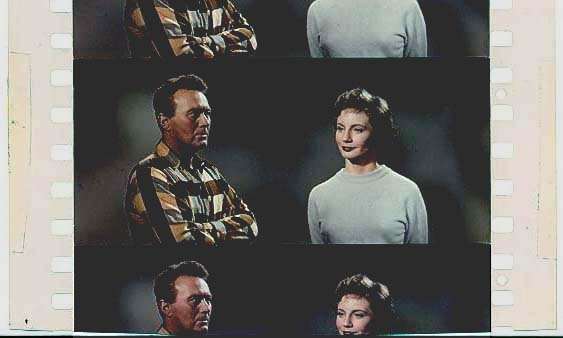 Introduced by Technicolor in 1957 the negative travelled horizontally through the camera using an anamorphic lens. The picture was squeezed by a factor of 1.5. The image was 8 perfs long. 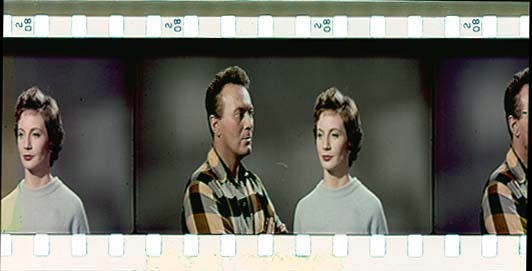 The aspect ratio was 2.25 to 1. 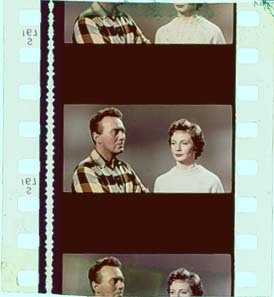 Technicolor offered 6 different print formats illustrated below. Apologies for the colour quality, the prints have been colour corrected using Photoshop. To see how the prints actually look go to DYE FADING. 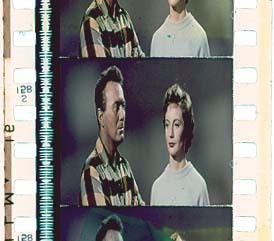 In fact each piece of film has faded differently.